New hair cream holds that healthy 'just-combed' look all day long! 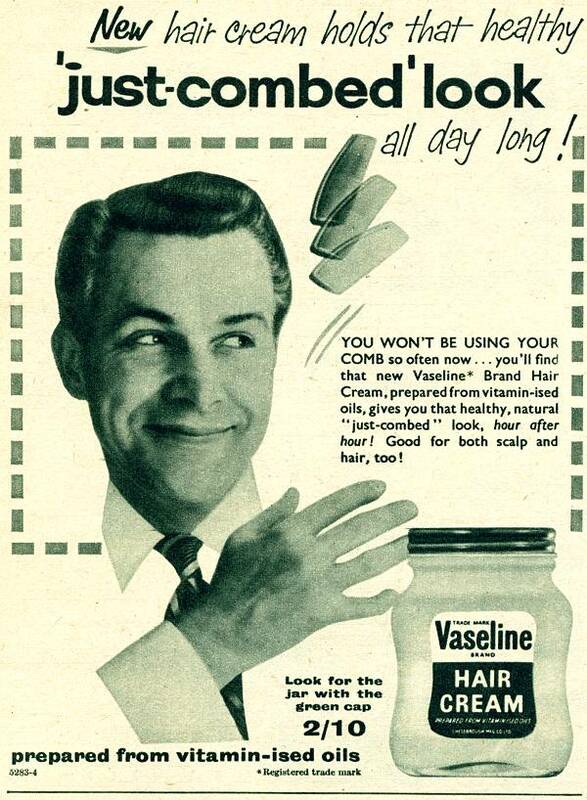 You won't be using your comb so often now... you'll find that new Vaseline Brand Hair Cream, prepared from vitamin-ised oils, gives you that healthy, natural "just-combed" look, hour after hour! Good for both scalp and hair, too!